I. An opposition was filed by the opponent against European patent No. 1 554 773 as a whole. II. The opposition was based on the ground for opposition of Article 100(a) EPC. It was argued that the claimed subject-matter was not new (Article 54 EPC) and did not involve an inventive step (Article 56 EPC). III. The Opposition Division decided to maintain the patent in amended form according to an auxiliary request filed by the patent proprietor. IV. In the "Grounds of the Decision", the Opposition Division held that the subject-matter of claim 1 of the auxiliary request was new in view of documents [A1-A4] and did not result in an obvious manner from a combination of A2 with [A11 or A2]. V. The appellant (opponent) filed an appeal against the decision of the Opposition Division. With the notice of appeal, the appellant requested that the decision under appeal be set aside and the patent be revoked in its entirety. With the grounds of appeal, the appellant acknowledged that the subject-matter of claim 1 according to the auxiliary request considered allowable by the Opposition Division was new. The view that the claimed subject-matter did not involve an inventive step was reiterated. The appellant held that the claimed motor vehicle glass pane resulted in an obvious manner from A6, A11, a combination of A2 with A6, and a combination of A2 with A11. In this respect, the appellant submitted that the subject-matter of claim 1, as maintained by the Opposition Division, differed from the connecting arrangement of A6 only in that the former was concerned with conductor junction areas on a glass pane. A6, in contrast, was concerned with a connecting structure and electrical connections mounted on a printed circuit Board (PCB). In the appellant's view, the distinguishing feature constituted a mere alternative to a PCB devoid of any technical effect. A similar analysis applied with regard to the teaching of document A11. The appellant further submitted that it was obvious for the skilled person, starting from document A2, to arrive at the claimed subject-matter. Faced with the problem of providing fastening means between the electrical cable and the corresponding clamping connector that would be both cheap to manufacture, reliable and would facilitate repair work, the skilled person would have considered the clamping arrangements known from documents A6 or A11 and adapted the connection arrangement of A2 accordingly. VI. In a letter dated 15 March 2013, the respondent (patentee) requested that the decision of the opposition division be upheld, i.e. that the patent be maintained in amended form. As an auxiliary measure, oral proceedings were requested. The view that the glass pane constituted a mere alternative to the PCB in A6 or in A11, deprived of any effect, was contested. Moreover, none of the documents cited by the appellant disclosed a locking element, spring element or claw incorporated at the cable side end of the connecting conductor, as required by claim 1. It was further observed, with regard to document A2, that the combination of documents relied upon by the opponent would mean relinquishing a core element of the document's teaching, namely the amplifier. Concretely, the skilled person would never have considered improving the connection to an amplifier apparatus by throwing away the amplifier and replacing it with a plug connector. VII. Summons to attend oral proceedings were issued on 24 January 2018. On 20 February 2018, the Board issued a communication pursuant to Article 15(1) RPBA, expressing its provisional opinion with regard to the parties' submissions and requests then on file. VIII. With a letter dated 9 March 2018, the respondent filed "a second auxiliary request" and informed the Board that no representative would attend the oral proceedings on behalf of the patent proprietor. Further arguments in support of inventive step for the main and second auxiliary request were provided in response to the communication of the Board. IX. With a letter dated 19 April 2018, the appellant informed the Board that it would not be represented at the oral proceedings. With regard to the new request filed by the respondent, the appellant simply observed that the auxiliary claim was neither more novel nor more inventive than the main request ("la revendication auxiliaire déposée n'est pas plus nouvelle ou inventive que la requête principale"). X. Oral proceedings before the Board took place on 9 May 2018 in the absence of the parties. - a number of connecting conductors (13) the cable-side ends (14) of which lead into the cable fixture (12) and the glass-side ends of which (15) are connectable to the conductor junction areas (2), wherein the cable-side ends (14) of the connecting conductors (13) are designed as locking elements, spring elements or claws so as to prevent the flat cable (30) from being unintentionally pulled out of the cable fixture (12)." Claims 2 to 11 of the respondent's main request depend on claim 1. The content of the respondent's sole auxiliary request, incidentally dubbed "second auxiliary request" is not pertinent for the present decision. It is thus not reproduced herewith. The parties agreed to the fact that none of the documents cited disclosed the features of claim 1 in combination. The Board concurs with these findings. 2.1 A6 and A11 disclose electrical arrangements with a connecting element of the plug type. The plug is affixed to the end of a flat cable and is introduced in a slot-shaped cable fixture where it contacts a plurality of conductors. According to the configurations disclosed in documents A6 or A11, the connecting element and electrical arrangements are secured on a printed circuit board. Neither A6 nor A11 envisage arranging the electrical arrangements with their conductive junction areas on the glass pane of a motor vehicle. 2.2 Document A2 discloses an antenna mounted on the glass pane of a motor vehicle. According to A2, electrical connections to and from the antenna are directly mounted on the glass plane. The base point terminal connections of all antennas that are assembled in contact points of a contact field are surrounded by a plastic housing. In that plastic housing a high frequency body can be removably fixed, thereby automatically establishing an electrical contact between contact springs of the high frequency body and matching contact points of the antennas. The signals generated by the antenna are thus transmitted to the high frequency body for amplification. A flat cable is mounted on the side of the high frequency body and is secured thereto for outputting the signal of the high frequency body to further receiver circuits. The removable connection is provided between the high frequency body and the plastic housing and not between the cable and the connecting element as required by claim 1. 2.3 The subject-matter of claim 1 of the appellant's main request is therefore new in the sense of Article 54 EPC. 3.1.1 Document A2 discloses an electrical arrangement installed on a glass pane of a motor vehicle and thus shares a common purpose with the claimed invention. Moreover, A2 also shares many structural features with the invention (cf. point 2.2 above). It appears therefore to constitute, in view of the established principles of the case law, a suitable starting item of prior art when deciding on the inventive merits of the claimed invention. Hence A2 may be considered to illustrate the closest prior art. - the cable-side ends of the connecting conductors provided between the cable fixture and the conductor junction areas on the glass panel are designed as locking elements, spring elements or claws. The claimed arrangement permits to conveniently detach the flat cable while reliably preventing it from being unintentionally pulled out of its fixture. - avoiding that the flat cable get detached from its fixture on the glass panel during the normal operation of the motor vehicle (cf. description as originally filed, passage bridging pages 2 and 3). 3.1.3 Plugs or clamping systems of the kind used according to the present invention are known from A6, or A11. In order to arrive at the claimed subject-matter, the skilled person would however have to renounce to the amplification function provided by the high frequency body of A2 and to replace it by the connector means known from A6, or A11. This would imply renouncing to a feature presented as essential in the context of A2. In the appellant's view, these findings are not relevant in the context of the invention where the presence of an amplifier is not addressed and not even required, though the invention also covers the field of antennas. The definition of the objective technical problem to be solved by the claimed invention is the only aspect that really matters when deciding on how the closest prior art is to be modified. The purpose which leads to modifying the closest prior art is, in this respect, irrelevant. 3.1.4 The present Board (in a different composition) already had the opportunity to decide in a previous appeal on a similar issue. It then ruled that the findings according to which the claimed invention distinguishes from the prior art only in the modification of a feature disclosed as essential in the context of said prior art would be sufficient as such to conclude that the invention is not obvious vis-à-vis this prior art (cf. T 2201/10, not published, point 5.1.3). The Board thus disagrees with the argument put forward by the appellant according to which the purpose which lead to the development of the system of the prior art should be simply ignored if this purpose is not relevant in the context of the claimed invention. Although entirely hypothetical, the problem-solution approach developed by the jurisprudence of the boards of appeal is deemed to reflect what the skilled person would have done under realistic circumstances in order to solve the objective problem previously identified. In this respect, the reasoning developed by the organ raising the objection of lack of an inventive step should reflect real-world circumstances. In particular, this approach presupposes that the skilled person would have indeed possibly been confronted, in the framework of his activities, to the item of prior art selected as closest prior art, and would have then recognised the existence of the objective problem to be solved. It is, however, hardly conceivable that the skilled person would decide to ignore the purpose of an object or process he is using during his normal activity to modify said object or process by getting rid of one of the features essential for said purpose. As emphasized by the respondent, it is not credible under the present circumstances that the skilled person, who would have made use of the glass pane and associated amplifier system known from A2, would have sought to improve the connection to the high frequency amplifier body by throwing away said body and replacing it with a plug connector. It is namely assumed that the skilled person who makes use or requires a system combining a glass pane for a motor vehicle (windscreen) and its associated amplifier system indeed requires the functionalities conferred by both items; the windscreen is required for the vehicle in which it is to be installed to protect from the wind, the amplifier is required to amplify the signals obtained from various sensors such as e.g. antenna elements present on the vehicle. An approach according to the problem-solution which would consider renouncing to one of these two key features would be totally artificial and at odds with what the skilled person would have done in realistic situations. 3.2.1 The parties agree that a main difference between the claimed subject-matter and the electrical connector system of A6 resides in the fact that the claimed connection element is fixed to a glass pane of a motor vehicle, whereas the systems of A6, or A11, are mounted on a printed circuit board. The appellant denies the existence of any technical effect resulting from this distinguishing feature which is considered as a mere alternative to known PCBs. The notion of "alternative" defines a technical feature or a plurality of features which fulfil, in a given context, the same functionalities as some other known features in a similar context. While the glass pane of a motor vehicle may indeed provide the functionality of supporting means for various electrical circuits and connecting means, it does not offer the flexibility of use of a PCB. Undisputedly, a windscreen provides effects in a vehicle that a printed circuit board cannot provide. Moreover, the glass pane of a motor vehicle, obviously, limits the use of the electrical circuits and connecting means mounted thereon to the field of motor vehicles. - to produce the effects normally associated with the presence of a windscreen in a vehicle, namely to shield the passengers of said vehicle from the effects of the wind. While the first effect of supporting the structural elements of the electrical circuit is indeed equivalent under the circumstances to what may be provided by a PCB, the protection against the wind obviously defines a technical contribution of the claimed invention vis-a-vis the arrangements known from A6, or A11. The view that the claimed subject-matter differs from the prior art as known from A6, or A11, only by the presence of an alternative to the PCB, deprived of any technical effect, is therefore rejected. 3.2.2 The question arises then whether document A6, or A11, may indeed be considered to illustrate the closest prior art when deciding on the existence of an inventive step of the claimed subject-matter. It is generally accepted that the closest prior art normally discloses an item of prior art which shares a common purpose with the claimed subject-matter or aiming at the same objective (cf. case law of the Boards of Appeal, 8th. edition, section I-D-3.1). This approach appears to rely on the assumption that the skilled person would only possibly arrive at the claimed invention when starting from a document which shares a common or similar purpose with the claimed invention. In other words, this approach seems to exclude from the group of possible candidates as closest prior art disclosures which belong to technical fields remote from the field of the invention. The jurisprudence of the Boards of Appeal puts also much emphasis on the similarity of the technical problem to be solved by the item of prior art to be selected (cf. case law of the Boards of Appeal, 8th. edition, section I-D-3.3). These approaches have in common to limit the extent of the prior art to be considered when searching for the closest prior art. It is, however, questionable whether they are in agreement with an analysis of inventive step which should be objective and should hence take into account all realistic circumstances which would lead to the claimed subject-matter. In a case like the present one, the jurisprudence suggests to limit the search for the closest prior art to the field of glass panels for motor vehicle or to prior art documents concerned with the need to provide reliable electrical connections in environments subjected to strong vibrations. The same invention could however be defined in a totally different manner, for example, in terms of an electrical arrangement with connecting means characterised in that it is installed on the glass pane of a vehicle, hence putting much emphasis on the fact that the claimed system relates to an electrical connector. The principles developed by the jurisprudence of the boards of appeal, recalled above, would then lead to searching for the closest prior art in a totally different technical field, namely, in the field of electrical connectors, although the claimed invention would be the same. All in all the principles recalled above would then make the decision on obviousness dependent on the manner the independent claims are drafted and would be clearly contrary to an objective assessment of the inventive merits of a claimed invention. In a recent decision, it was considered that the remoteness of a piece of prior art did not, in itself rule out an assessment of inventive step in view of that prior art. It was further held, that if a piece of prior art was too remote from an invention, it should be possible to show that the invention was not obvious to a skilled person having regard to this piece of prior art (cf. T 855/15, not published, point 8). The present Board agrees with these findings. It can indeed not be excluded, beforehand, that real-world circumstances would have led a skilled person in a certain technical field to have given attention or even used an item of prior art from a completely different technical field. Such a scenario, rather unusual, cannot rely on mere speculation, but must be supported by sufficient evidence and argumentation. For this reason, the present Board can agree with the deciding body in case T 855/15 only insofar that it might be irrelevant for the question of inventive step whether or not the "skilled person would [...] select a piece of prior art 'as a starting point to arrive at the invention' [...]" and that "no argument is required as to whether the skilled person would select a document", as long as the closest prior art belongs to the same or a neighboring technical field of the person skilled in the art or to its common general knowledge. Consequently, arguments or evidence should be provided as to why the skilled person in a specific technical field would have indeed envisaged selecting a document in a remote field of technology as closest prior art or, alternatively, whether he would have indeed considered adapting a prior art disclosure originating from his technical field to implement it in a remote technical field. 3.2.3 Applied to the present circumstances, the principles developed above lead to two different scenarios under the problem-solution approach. The board in charge of case T 25/13 followed a similar reasoning, distinguishing between persons skilled in the art and adapting its analysis according to the problem/solution approach accordingly (cf. T 25/13, points 2.3; 2.4). According to a first approach, the question to be elucidated is whether the skilled person in the art of glass panes for motor vehicles would have considered documents pertaining to the field of PCBs such as A6, or A11, as possible starting points. The Board observes, in this respect, that the appellant did not elaborate on that aspect and merely assumed that this would be the case. The Board is also not able ex officio to identify any reason supporting the appellant's assumption. An objection of lack of an inventive step, in order to be successful should however establish the complete logical chain of considerations which would lead the skilled person to the claimed subject-matter. In the absence of evidence or convincing arguments as to why the skilled person in the field of glass panes for motor vehicle would have indeed considered A6, or A11, as closest prior art, the objection of lack of an inventive step fails from the start (cf. decision T 686/91). According to a second approach, the skilled person to be considered would be the skilled person in the field of PCBs. In that situation, the selection of A6, or A11, as closest prior art is justified by the mere fact that both documents belong to his field of activities. The question to be elucidated is then whether the skilled person in the field of PCBs would have indeed envisaged modifying the prior art disclosures of A6, or A11, so as to use them on glass panes for motor vehicles. Relying on the technical effects provided by a glass pane identified above (cf. section 3.2.1) this would imply that the skilled person would concern himself with the protection of passengers of a vehicle from the effects of the wind. Here again, in the absence of evidence or convincing argumentation as to why the person in the field of PCBs would have tackled such issues, the objection of lack of inventive step fails as unrealistic, under the circumstances. 3.2.4 The subject-matter of claim 1 is thus not obvious in the light of A6, or A11. 4. The respondent's main request is therefore allowable. This decision T 2057/12 (pdf) has European Case Law Identifier: ECLI:EP:BA:2018:T205712.20180509. The file wrapper can be found here. 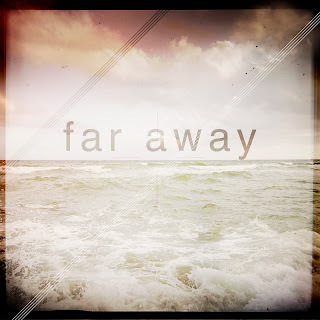 Photo "Far away / FACEBOOK : Like This ! "Y sin darme cuenta daremos un paso más, tan grande que echaremos de menos la playa, para irnos lejos." by Luis Hernandez obtained via Flickr under CC BY 2.0 license (no changes made).